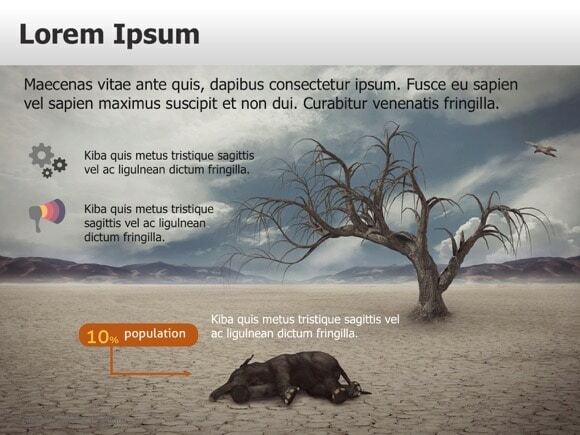 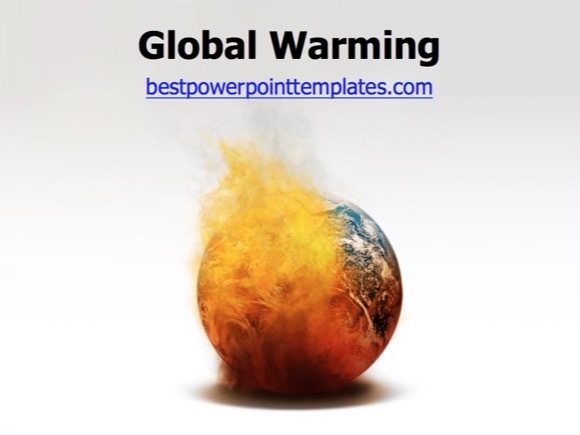 Global Warming PowerPoint template - FREE! 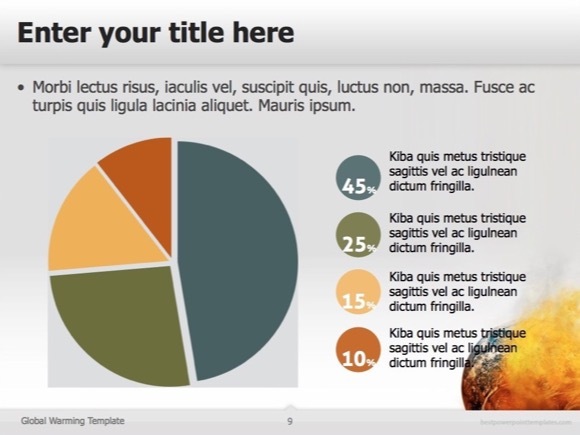 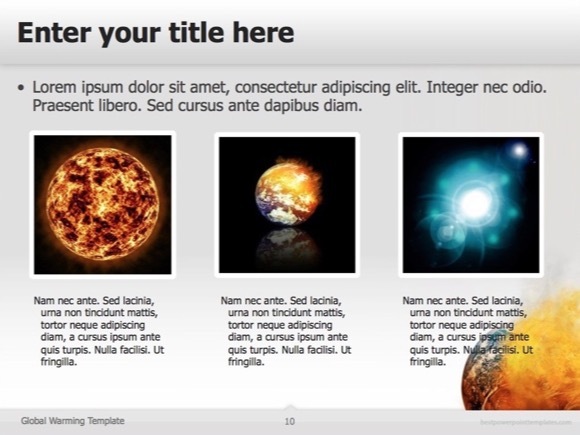 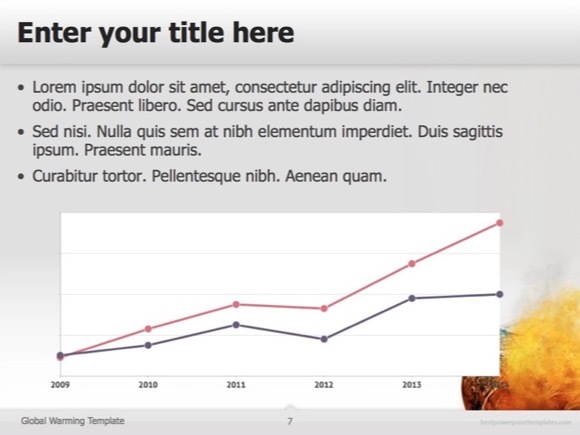 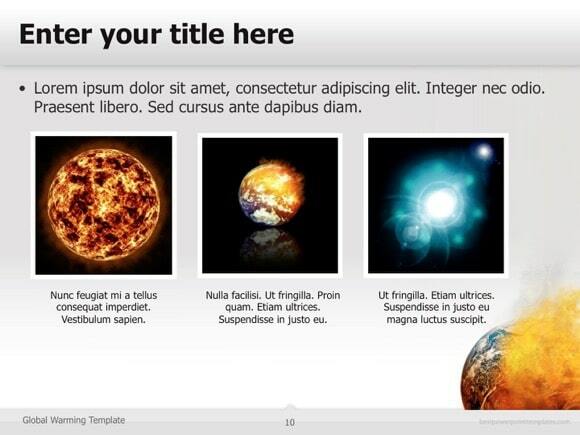 Global warming powerpoint template has a picture of our planet earth set on fire, so it is ideal for presentations related to the warming of the atmosphere and the ocean. 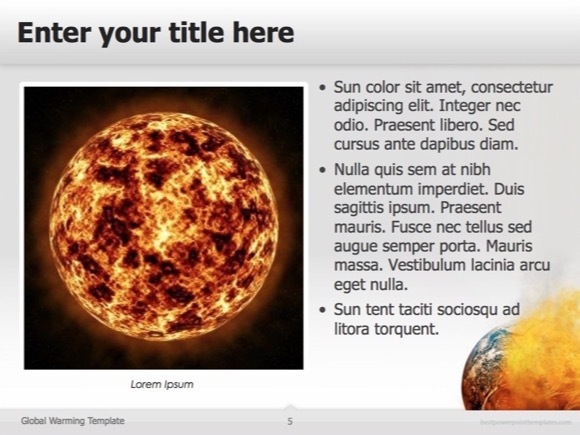 It can also be used in presentation related to industrialization effects on our planet’s environment, warming of the earth due to pollution from factories and automobiles fumes. 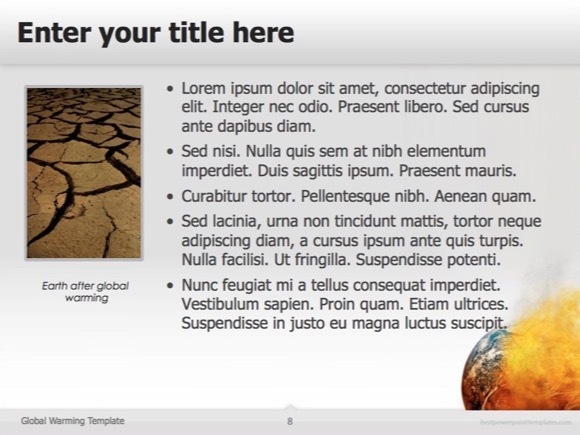 Reasons why the glaciers are melting and Ozone depletes are the hot topics where this PPT can be used.